Submitter: One of our students came across this one today. It was requested by a patron; another library in our consortium filled the request before we did. It’s circulated at least 25 times since our system upgrade in 2003. I wish I was joking. The front cover isn’t that awful. But the back… ooohhhhh, the back… what makes it even more frightening is that it was published in 1978. Holly: Yeeeaaah. There’s undoubtedly a place for this. Thankfully, most of the holdings in WorldCat are for college libraries and large public library systems. 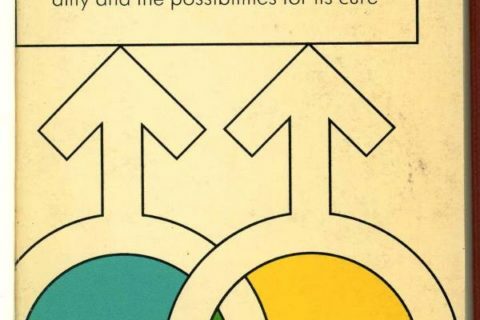 It is reflective of research in this field in 1978. Students interested in this topic have a LOT more relevant information to work with than this. Sigh…comments ARE open for this post! That little check mark is taunting us! I think that this book has just stunned everyone to silence is all. It’s a whole buffet of wrongness on that back cover. And are they really suggesting it’s black parents that cause the “inferior” position of blacks in society???? Wow. I’m stunned from sheer horror. I’m beginning to suspect it may have been written like that to stir up controversy, so people would notice the book – just like that computer virus book which was discussed a few days ago here. “Brother Wilson” was a bit of a militant writer from the 1960s, so I wouldn’t be surprised, if this was the case. I tried to comment earlier but couldn’t. Not so for 1968 or worse, 1958. Are we absolutely certain that the author’s name was not in fact AMOS N ANDY? 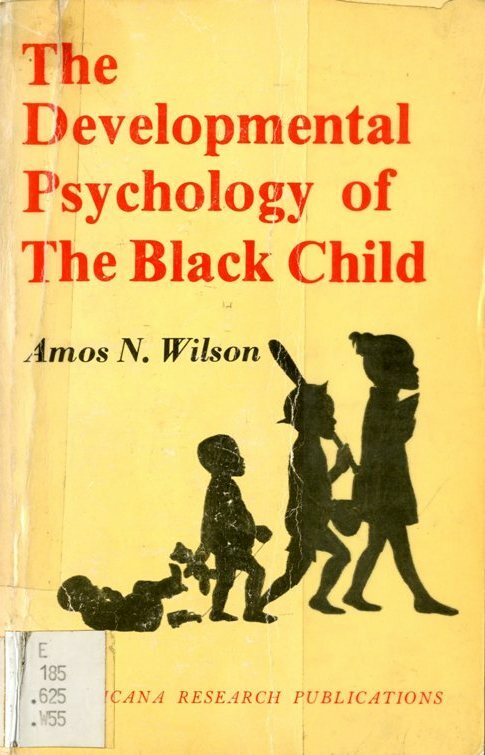 If you think this author is a racist, out of touch white man, you’re wrong — Amos Wilson was actually an African American who espoused the black power movement. 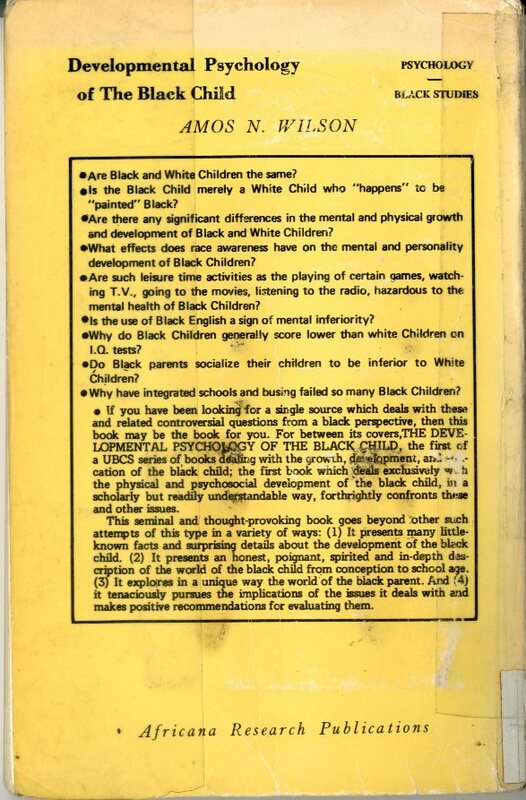 I can’t speak to the validity of the ideas in this book, since I haven’t read it, but I would imagine that the questions on the back cover are intended to be provocative rather than reflective of a racist mindset. I would suggest that in fact, the writer of 1978 may have had quite a bit of “awareness” and the questions were indeed meant to be provocative. Sadly, much late 1970s and very early 1980s academic material may be found to be much more open minded on the topic of race and women’s issues. I do not believe the past thirty years have been very kind to us, ideologically speaking.